Norm Coleman posted on his Facebook page Tuesday that the squamous cell cancer that was originally detected in his tonsils, throat and lymph nodes has returned, this time to his lungs. 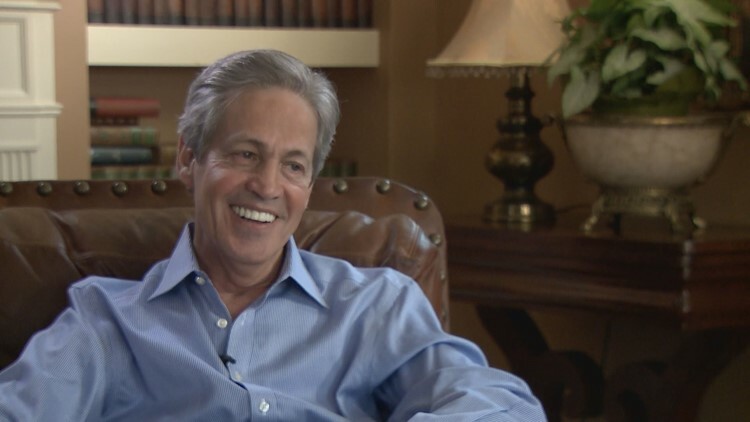 ST. PAUL, Minn. - Former St. Paul Mayor and Minnesota Senator Norm Coleman is again fighting the cancer that threatened his life. Coleman posted on his Facebook page Tuesday that the squamous cell cancer that was originally detected in his tonsils, throat and lymph nodes has returned. "The beast that is my cancer has returned. It has reasserted itself," Coleman wrote. "The prognosis for metastasized cancer is typically not optimistic. But, the DNA of my cancer has shown great responsiveness to chemo and radiation treatment. My physicians at the Mayo Clinic remain optimistic that the beast can still be contained. My hopes and prayers are for a very long time." In his post Coleman reveals that an annual PET scan followed by a CT scan at the Mayo Clinic raised some concerns about lesions on his lungs. A follow up bronchoscopy at the Mayo Clinic revealed that those lesions are cancerous. The 68-year-old Coleman says his Mayo medical team will utilize immunotherapy, targeted radiation and new forms of chemotherapy to fight the lung cancer, and adds that he underwent his first five-hour paclitaxel and carboplatin chemo session just two weeks ago. Despite the prognosis, he insists that optimism will rule the day. "In the hustle and bustle of all that is my life, I still I get to spend many weekends in the magnificent lake country of Northern Minnesota. I am a blessed man. I thank God for all those blessings and continue to put my trust in Him," Coleman writes. "Today, I face another one of those detours in life that requires me to have faith and trust that I am still called upon to be there for family, friends and community. I won’t lie to you. Cancer has shaken my soul. But, it has not broken my spirit. I firmly believe in the genius and care of my Mayo Team. I believe in the power of prayer.... I am an optimist. Every fiber of my being throughout my life has had me believe that for every today we live, there will always be a better tomorrow. There is plenty life ahead of me."